We understand how hard it is to get noticed in today's times. That is why we offer these eye attracting promotional items that help get people in the door. This Unit is sure to attract attention as it stands 18'. 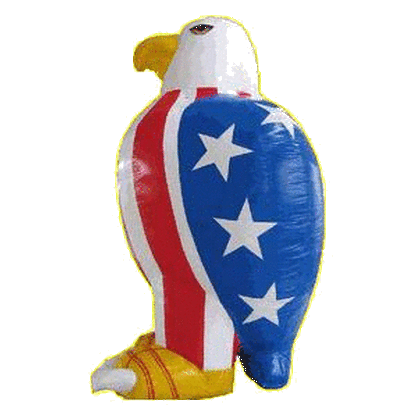 Perfect for Tax Season, Election Campaigns, Patriotic Celebrations and so much more. 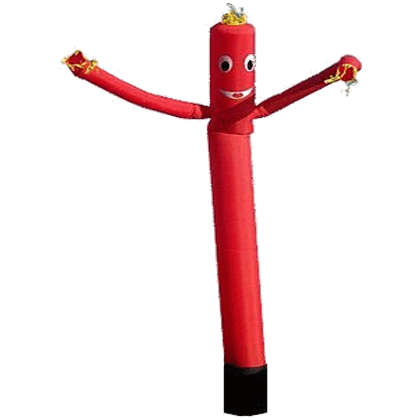 Bright in color and constantly moving in the wind, this unit is great for Grand Openings, Open Houses, and any other Promotional Type of Event. Massive in Size, yet fun & Inviting. 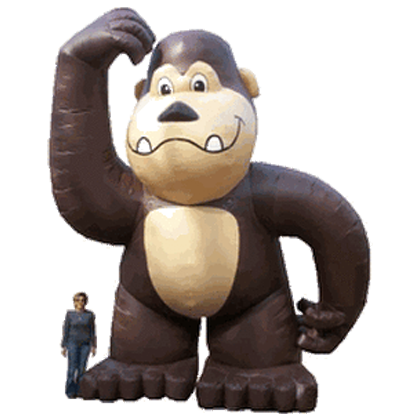 Rent this Super Sized Gorilla for any Special Events, Carnivals, Birthdays and Everything in Between. Use Pete the Penguin to make people look and then come into your event or business. 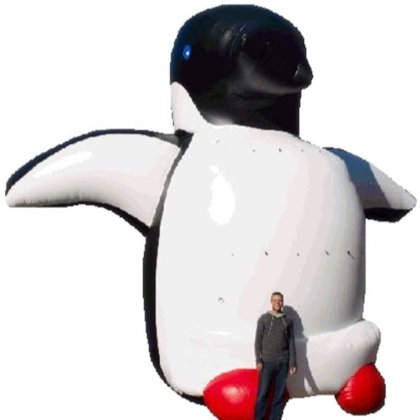 In July people want to know why there's a penguin in front of your business. In December people are ready in the mood for the jolly old man to come and connect Pete with his coming.